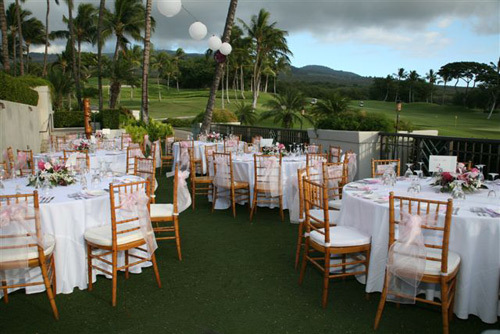 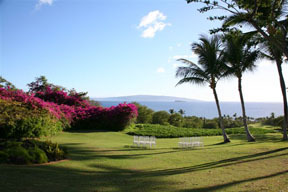 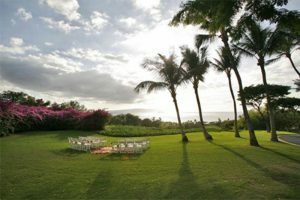 Set within the grounds of south-west Maui’s best scenic ocean-view golf club, this upscale site is perfect for weddings and receptions. 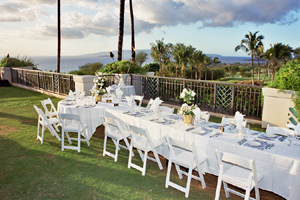 The restaurant is highly reviewed and is excellent and almost all couples dine here. 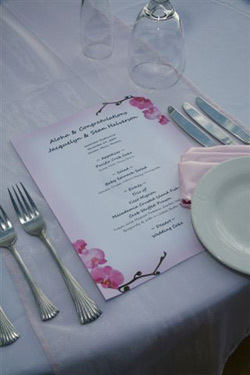 Add $50 to site fee if you select not to dine here. 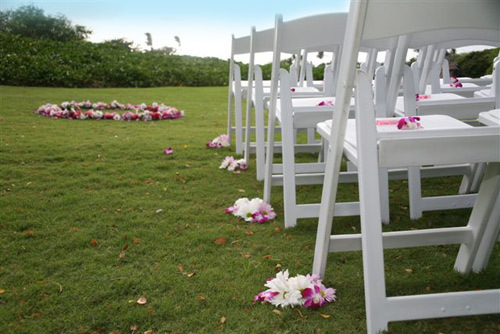 The ceremony site fee of $400 includes up to 30 chairs. 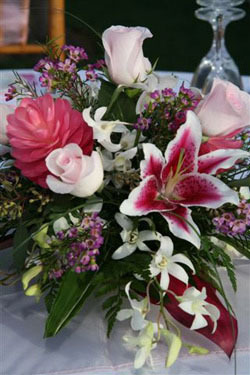 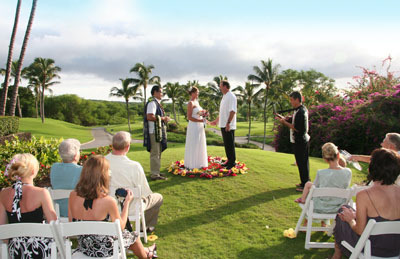 GayHawaiiWedding.com can assist with decor, florals and live musicians/dj.